In this post, we look at how to deploy an Infinispan cluster on Kubernetes. Read on to find out how! In the previous post, we looked how to run Infinispan on OpenShift. Today, our goal is exactly the same, but we'll focus on Kubernetes. Running Infinispan on Kubernetes requires using proper discovery protocol. This blog post uses Kubernetes Ping, but it's also possible to use Gossip Router. There are many ways to spin up a local Kubernetes cluster. One of my favorites is Minikube. At first, you will need the 'minikube' binary, which can be downloaded from GitHub releases page. I usually copy it into '/usr/bin', which makes it very convenient to use. The next step is to download 'kubectl' binary. I usually use Kubernetes GitHub releases page for this. The 'kubectl' binary is stored inside the release archive under 'kubernetes/platforms/<your_platform>/<your_architecture>/kubectl'. I'm using linux/amd64 because I'm running Fedora F23. I also copy the binary to '/usr/bin'. Kubernetes is available at https://192.168.99.100:8443. (lines 28-30): We added additional arguments to the bootstrap script. (lines 31-36): We used Downward API for pass the current namespace to the Infinispan. (lines 41-52): We defined all ports used by the Pod. (lines 60-78): We created a service for port 8080 (the REST interface). (line 76): We used NodePort service type which we will expose via Minikube in the next paragraph. need to set up firewall rules for the service port(s) (tcp:32348) to serve traffic. 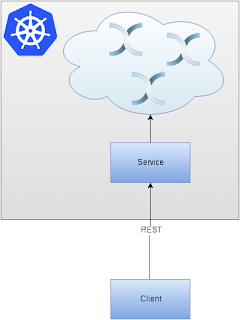 One of the Minikube's limitations is that it can't use Ingress API and expose services to the outside world. Thankfully there's another way — use the Node Port service type. With this simple trick, we will be able to access the service using '<minikube_ip>:<node_port_number>'. The port number was specified in the YAML file (we could leave it blank and let Kubernetes assign random one). OpenShift's DeploymentConfiguration is similar Kubernetes Deployment with ReplicaSets. OpenShift's Services work the same way as in Kubernetes. OpenShift's Routes are similar to Kubernetes' Ingresses. Happy scaling, and don't forget to check if Infinispan formed a cluster (hint — look into the previous post). Published at DZone with permission of Sebastian Laskawiec . See the original article here.